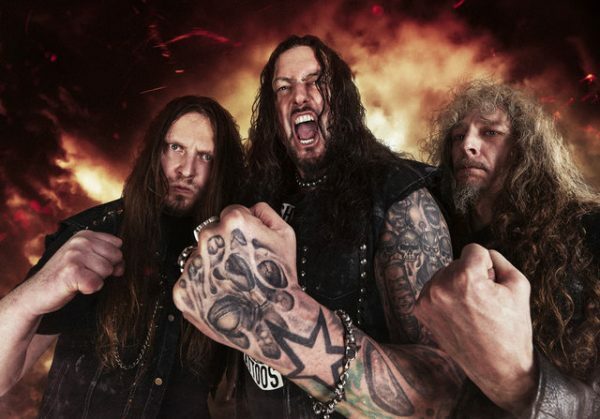 Iconic thrash metal band Destruction released their new album “Under Attack”on May 13th via Nuclear Blast Records. The band has uploaded the lyric video for the track “Generation Nevermore” ahead of their European tour this October. Check it out below! DESTRUCTION will join forces with US-based thrash metal monsters FLOTSAM & JETSAM, Swedish metal maniacs ENFORCER and Brazil’s NERVOSA for a full European headlining tour this fall. 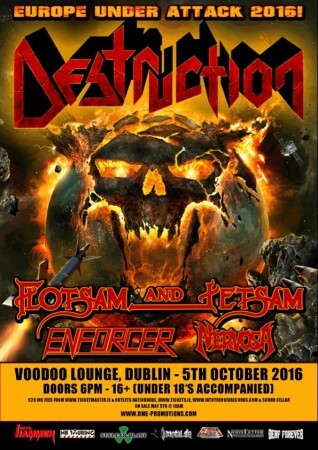 Don’t miss them on the 05th October in the Voodoo Lounge, Dublin! Tickets can be bought via ticketmaster.ie and cost around €25,00! Please check DME Promotions for updates and ticket availability. Click here for the official event page.